A story of horrific inner-city abuse, Precious places domestic violence under the magnifying glass but fails to offer a credible narrative for the unexplained heroism of its central character. Claireece Precious Jones (Gabourey Sidibe) is a 16 year old obese girl living in a filthy New York apartment with her domineering mother Mary (Mo'Nique). Claireece is the target of Mary's unrelenting physical and emotional abuse and humiliation, and has already given birth to one child after being raped by Mary's boyfriend. Claireece quits public school after she becomes pregnant with her second child, after again being raped by the same man, and despite strong opposition by Mary enrols in an alternative school. She joins the class of teacher Blu Rain (Paula Patton), and also starts to meet with social worker Miss Weiss (Mariah Carey), who insists that Claireece disclose her home situation in order to receive welfare checks. The teacher and the social worker provide a steadying influence, but Claireece still faces the challenge of escaping from her mother's house of horror. Precious, based on the novel Push by Sapphire (Romona Lofton), was boosted from a small film into a widespread success by the Oprah Winfrey marketing machine, and while there is always the potential for good in publicizing the issues associated with domestic abuse, the film itself struggles to live up to the hype. Precious is a simple story about triumphing, somewhat, over severe social adversity, but precious little is revealed about how and why Claireece is so strongly motivated and inspired to break free from the suffocating orbit around her mother. A girl brought up on a steady diet of physical, emotional,and sexual abuse needs powerful opposing forces to summon the inner strength and courage to change her destiny, but the Geoffrey Fletcher screenplay offers no clues about what drives Claireece to seek a better future. This weakness in storytelling does not take away from a chilling performance by Mo'Nique as Mary, an awful and monstrous woman hiding her utter failings by unleashing on her daughter a torrent of devastating negativity wrapped in a thick coating of manufactured guilt. 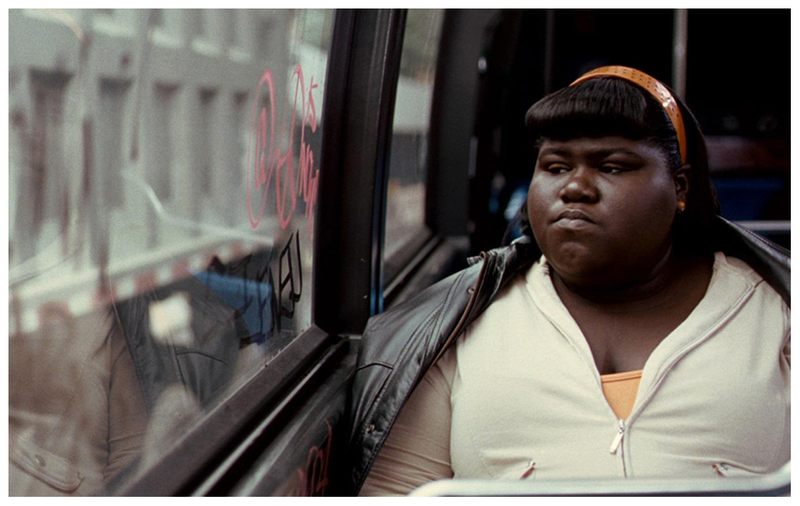 Gaboury Sidibe, plucked from obscurity for the film, is less successful at giving life to Precious, her performance generally consisting of glaring, shuffling and mumbling. Mariah Carey (in an inspired piece of casting) and Paula Patton have the easy roles of portraying social workers and teachers in a glowingly positive light. The slightly worrying message is that all an abuse victim needs to do is reach out for help, and larger than life, supremely confident women will ride to the rescue. Precious is a hopeful, well-made film tackling a most difficult subject. But it is precisely because the issues associated with domestic abuse amidst abject poverty are so complex and serious that Precious stumbles on its own simplicity.